Eddrachilles is not a dedicated fishing hotel but a number of our guests have enjoyed Sutherland's magical fishing in its lochs and rivers or from its rugged coast line. There are a number of excellent options in Assynt to the south, or local permits from Scourie and District Angling Club, or through to the fabulous limestone lochs by Durness. Scourie and District Angling Club leases the fishing rights of 47 lochs from the Scourie Estate, all of which contain native brown trout. These lochs are divided into 2 zones as well as a loch set aside for beginners/families. The club owns four rowing boats which are available for hire. With advance notice, it is possible to arrange a ghillie. The season runs from 15th March to 30th September (Boats available after 1st May) Permits are available from 0900-1300 and 1400-1700, Monday to Saturday from The Fishing Tackle shop in the Scourie Filling Station (approximately 2 miles north of Eddrachilles hotel on the main A894). Please note that you will need to provide your own rods and equipment. However, the Fishing Tackle shop in the Scourie Filling Station stocks a good range of rods, reels, recommended flies for local conditions and other equipment. Highly recommended, a booking with Assynt Fly Fishing is something ideally to arrange before you arrive at Eddrachilles Hotel. 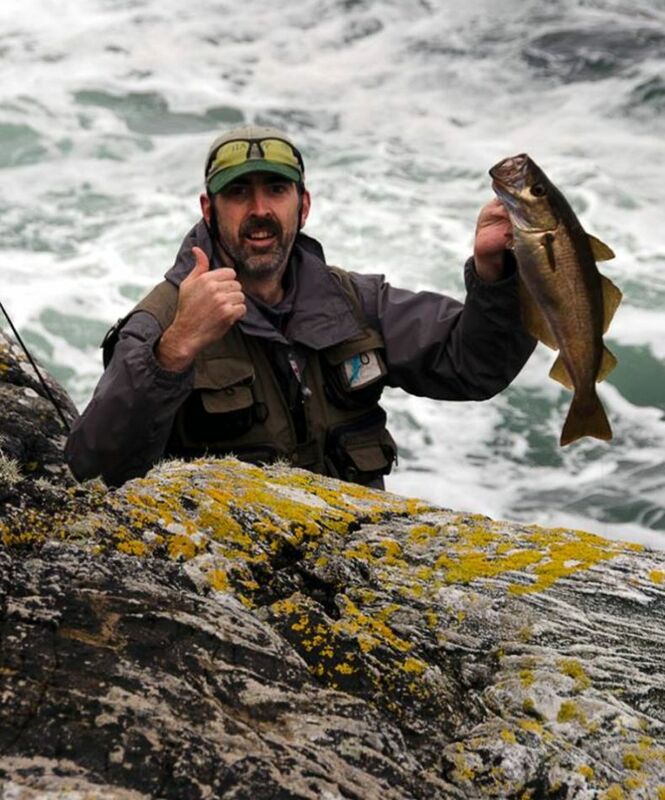 Based close to Lochinver, Stewart Yates is a qualified Mountain Guide (SML) and UKCC Licensed Angling Coach who grew up in Assynt, the peninsula on the other side of Eddrachillis Bay from the hotel. 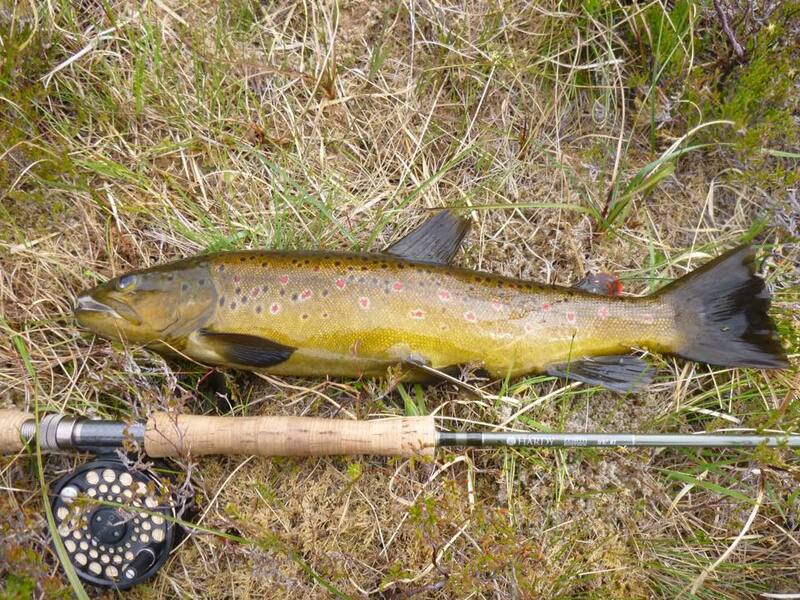 Assynt's wild terrain is perfect for small stream fly fishing, chasing feisty little Wild Brownies or even the elusive Atlantic Salmon while down on the coast there's the possibility of saltwater adventures fishing for Pollock. Stewart understands the Sutherland wilderness and is willing to share his exceptional knowledge of not only the lochs and rivers of the area but also its wildlife, flora and history. He offers a wide range of services. You can book lessons in fly-fishing casting from novice to advanced levels or take a wonderful guided trip again suitable for every level from novice family groups through to expert anglers.. Stewart also offers equipment hire. By far the most reliable option locally is Assynt Fly Fishing who offer saltwater coastal fishing for experienced flycasters. This an adventurous expedition often over steep rocks and therefore you need to have good mobility. However, take comfort in the fact that Stewart is also a qualified mountain leader and your safety is his first priority. Opportunities to catch big fish such a 5+lb pollock make this a very memorable and challenging day. There are sometimes options to charter boats to go offshore from Kinlochbervie or Lochinver but at present we do not have any regular operators in the area. On request, we can make enquiries close to your arrival. The limestone lochs of the Durness peninsula are world famous for unique brown trout renowned for their size and fighting characteristics. The four Durness limestone lochs are about 45 minutes drive from Eddrachilles Hotel and require about a mile's walk from the road. A large area of limestone around Durness creates alkaline waters for the four lochs, a rich and fertile environment in which trout grow fit and large. The lochs sit out on a semi peninsular of limestone surrounded by peat and gneiss studded hills. The area can be a bleak corner and Durness is a wild and windy place so appropriate protective clothing is essential. However, the lochs offer the most exquisite turquoise blue waters and challenging fishing ideal for the more experienced fly-fisher. Permits for fishing these lochs is controlled by the Keodale Sheepstock Club, telephone 01971 511255. The season runs from April to September and boats are available for hire.